The number on a Case knife represents various features associated with the knife. On a typical item, the number will consist of four digits. 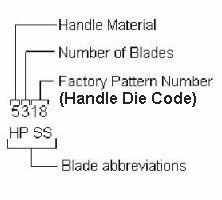 The first number represents the type of handle material used to make the knife, the next digit indicates the number of blades it has, and the last two digits signify the factory pattern number of the knife (assigned to the handle die). Be sure to stop by our store & shop for W.R. Case pocket knives. 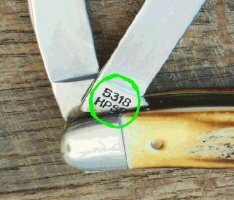 Use the number code to identify & add some cool Case pocket knife patterns in your favorite handle cover variations to your collection!